Monday started out rough. Everyone was tired and grumpy from the time change. I got my somewhat annual mammogram and ultrasound and came home from that grumpy too. So I walked on the treadmill and got on with my day. I tried to rally but by dinner time the whole house was a mess. We all went to bed early. Tuesday I felt much better. Sleep can really do a lot for a person! I wanted to walk outside but it was too cold and windy so I walked on the treadmill and watched The Expanse. I ate an early brunch, showered, and went to get my credit card I had left at the restaurant last week. Then I worked on the paperbacks for the Miso Cozy books all afternoon. 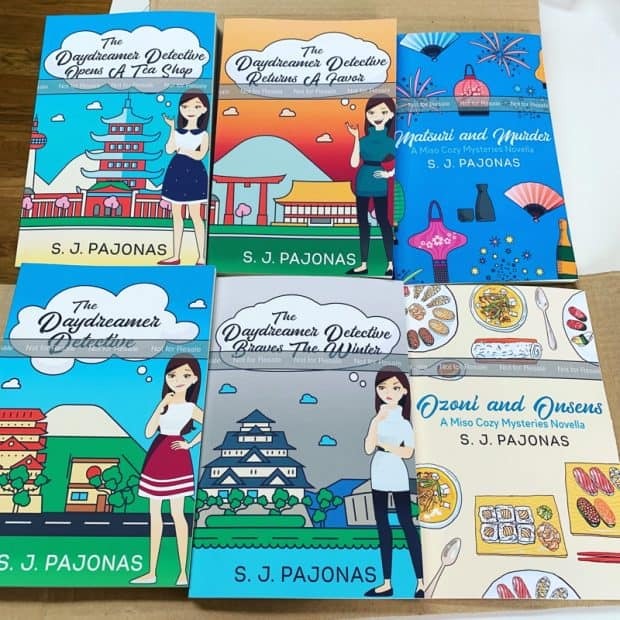 By the time I was done with dinner, Amazon had approved them all and I was able to order my proofs. I was able to knit in the evening. Wednesday was off again for me. The cleaning ladies came and I walked on the treadmill in the morning after getting some ad work done. I got onto the treadmill too late though and didn’t get as much walking in as I like. 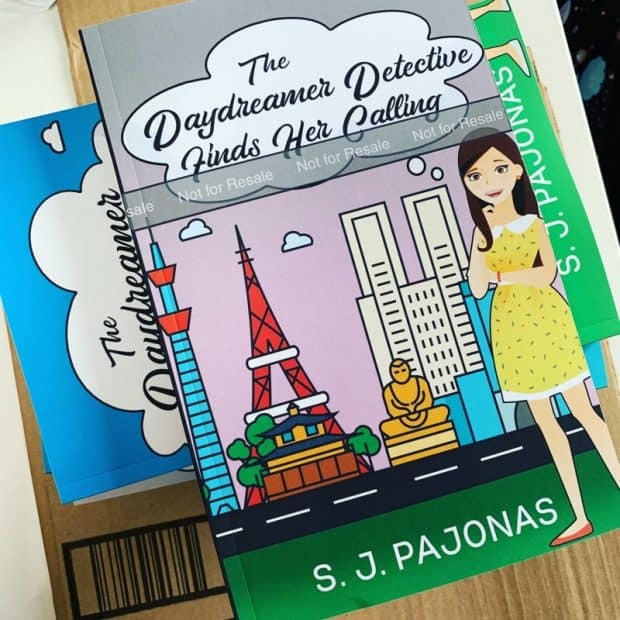 After, I got the paperback for THE DAYDREAMER DETECTIVE FINDS HER CALLING into KDP Print. Then I lost my motivation and ended up going to bed for a nap. I eventually got up, showered, and got to work but my timing was off all day and I forgot to have my afternoon tea. Then I got work done before, during, and after tennis. My husband was out of town so I had to do the usual without him. By Thursday, I really felt like I needed a vacation. I felt jet lagged and out of sorts. I did manage to get THE DAYDREAMER DETECTIVE FINDS HER CALLING totally done, though. I entered all of my proofreading notes in and finalized the manuscript. Then I uploaded the final files to all the stores. 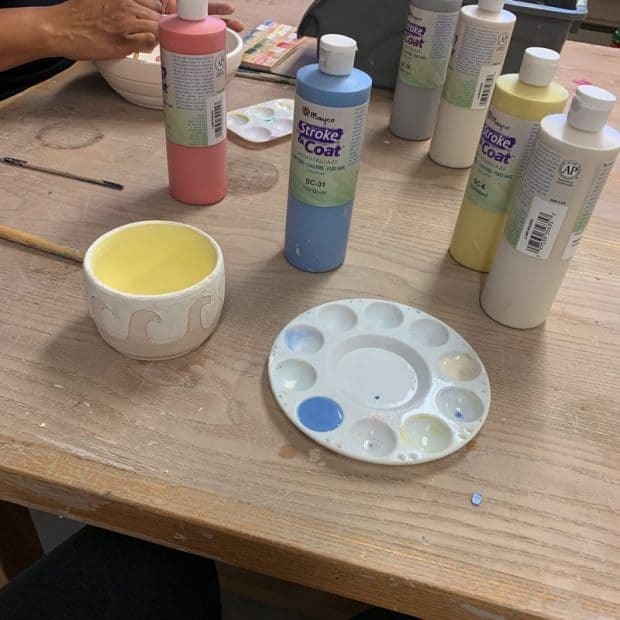 I went to pottery and got a lot done there because it was the last class of the session. I painted one bowl and then trimmed 4 bowls. 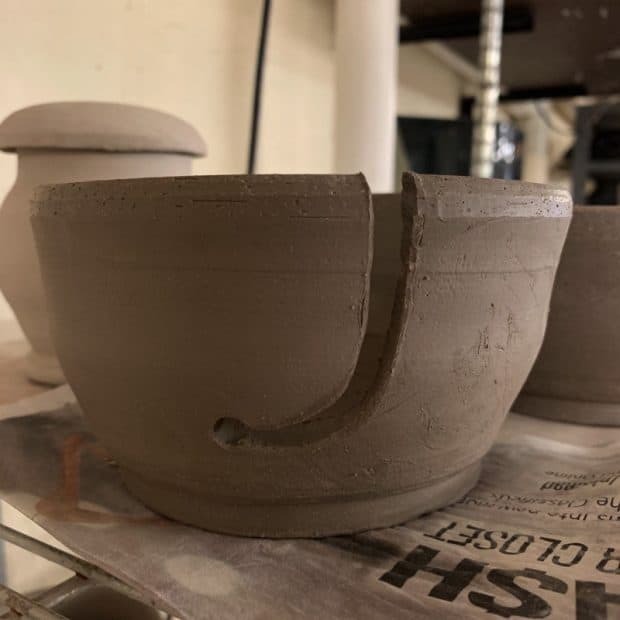 I made one into a potential yarn bowl! Let’s hope it makes it out of the kiln in one piece. I rushed home after, ate quickly, and then went out for a walk! It was 60°F outside so I couldn’t pass it up. The rest of the evening went down hill. I was so tired I couldn’t stay awake to get work done. Then I couldn’t find the field where my daughter was supposed to play softball! And I left my phone at home! Argh! More like I left my brain at home. I needed a glass of wine after that one. Friday was so nice! The temperature outside was in the 70s and the air felt fresh. I got the kids off to school, updated the blog, and then went out to get groceries early at 10am. 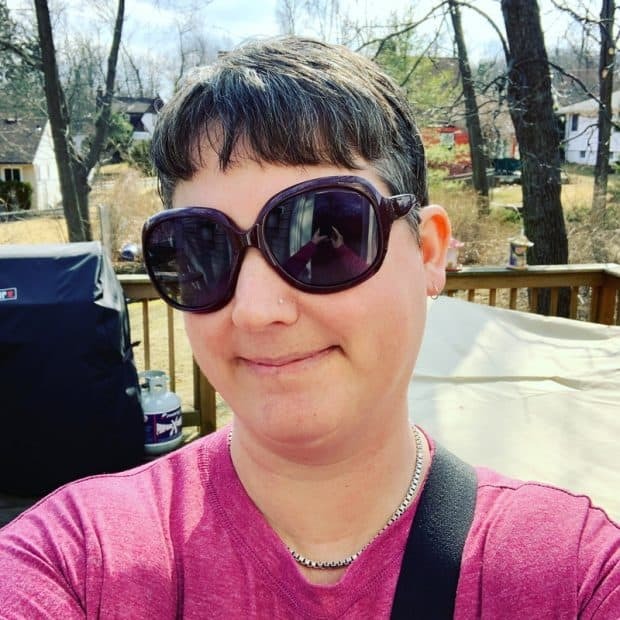 When I got back, I had lunch and watched The Expanse, then I showered and did some work until the kids came home. In the late afternoon, I took my oldest to get her ears pierced! And then my youngest played outside all evening! It was great! My husband made it home from his business trip, we had Japanese curry for dinner, and then we got caught up on Sumo. Oh! And I got my mammogram results! Everything is normal! Phew! Saturday was a working rest day for me. I slept in and had a late brunch after sitting on the couch and reading in the morning. I also started watching a course on Google Analytics which I hope to get back to this week. Then I walked on the treadmill because despite it being beautiful and 74 degrees the day before, it was cold and windy outside. In the afternoon, I bought some Udemy courses for me and the kids and got them set up to have fun with those. My oldest is learning how to draw characters, and my youngest is learning painting skills and how to sew! In the evening, we watched Star Trek 2: The Wrath of Khan. The kids thought it was kind of boring, but I loved watching it again. Sunday brought more relaxation. I slept in again and didn’t fast. I had 3 square meals! Which I almost never eat now. No worries. It’s back to intermittent fasting tomorrow, as I really like doing it during the week. It makes my days so much easier. I walked on the treadmill again and got out my sewing machine for my youngest to learn about sewing. I can’t find my seam ripper, though. I have no idea where it went! And my reverse stitch isn’t working, so I might take apart the sewing machine and see if I can fix it. 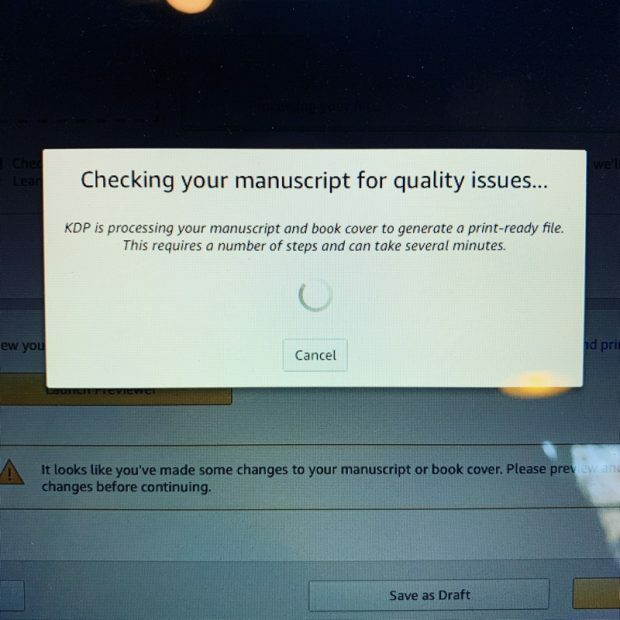 In the afternoon, I made a few last edits to FIRST FLYGHT (some typos caught by my ARC team) and did the work on the backend of Amazon to link up the new Miso Cozy paperbacks with the ebooks. I’ll have to ask Amazon to link them up on the frontend this week. Almost all of the paperbacks were approved but Book 3, and I still have no idea why they kicked back Book 3. I made it exactly the same as the others. I just resubmitted it without changing it. I also returned emails to my cover designer and spoke to my good friend and fast reader, Lola, about FIRST FLYGHT which she just read and reviewed! The review is up on Goodreads, if that’s your thing. This evening I plan to work on setting up my blog posts for the week and working on SFR Station. 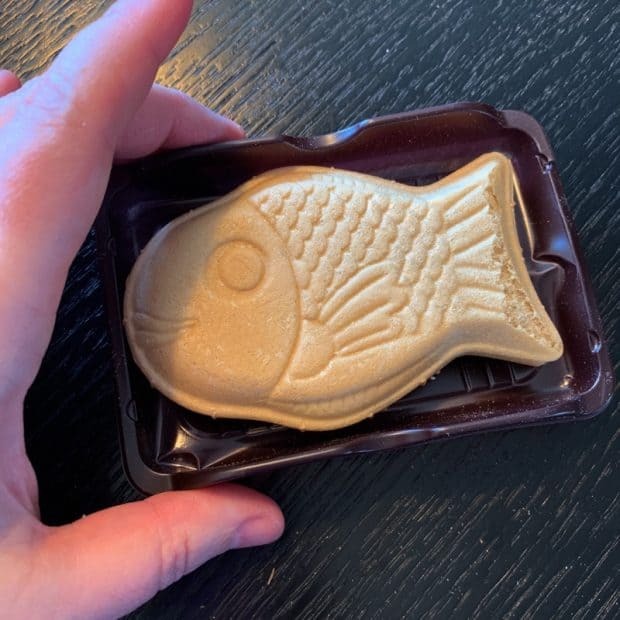 I enjoyed a chocolate taiyaki on Monday. It was needed. Look who’s back! We saw our local fox out and about in the middle of the afternoon. 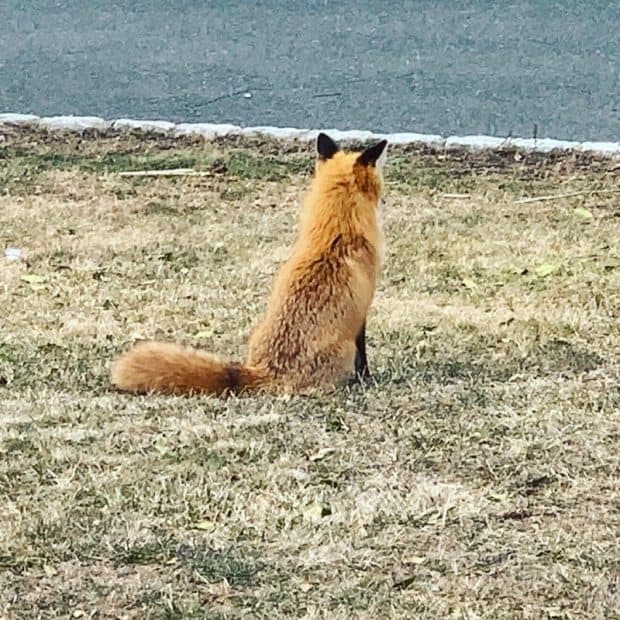 I wonder if she has kits nearby. 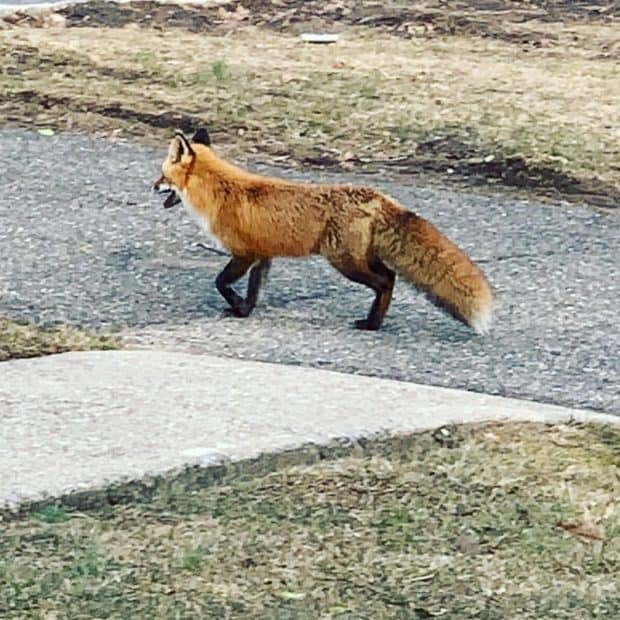 She spent some time in both our front and back yards! 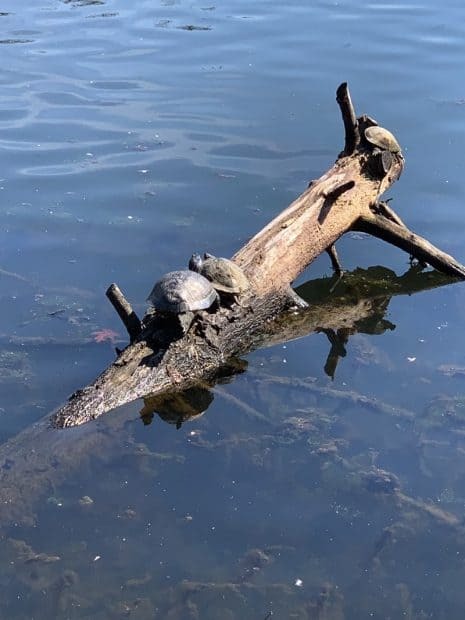 It was so nice on Thursday that even the turtles were out on the log!! Doing paperbacks for KDP Print requires a whole lot of patience, but then the proofs arrive! I was so happy to get the proofs of the entire series! Here I am, enjoying the nice outdoor weather! 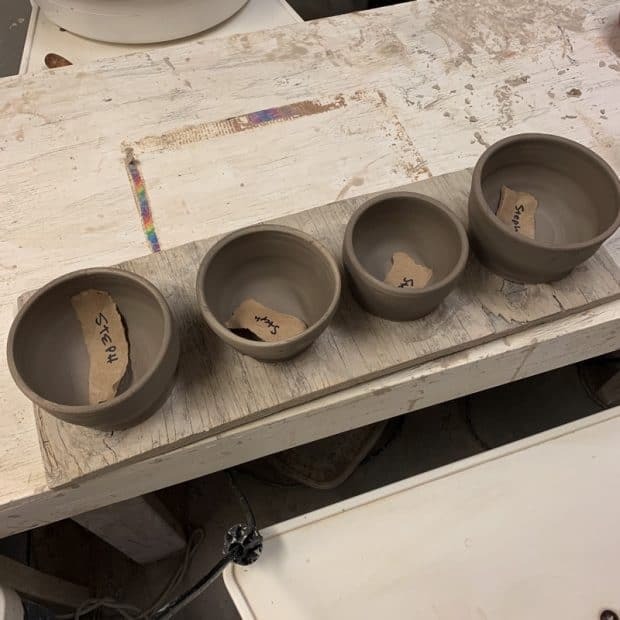 I trimmed all four of those bowls and I cut into one to make it a yarn bowl. I’m hoping this design will survive the kiln! Then I painted this wave bowl. I can’t wait to see how it turns out! And finally, behold! 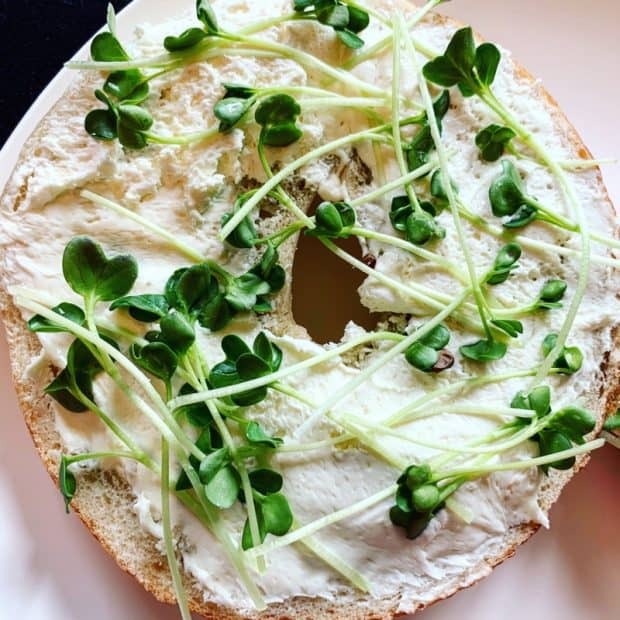 My favorite way to eat sprouts! 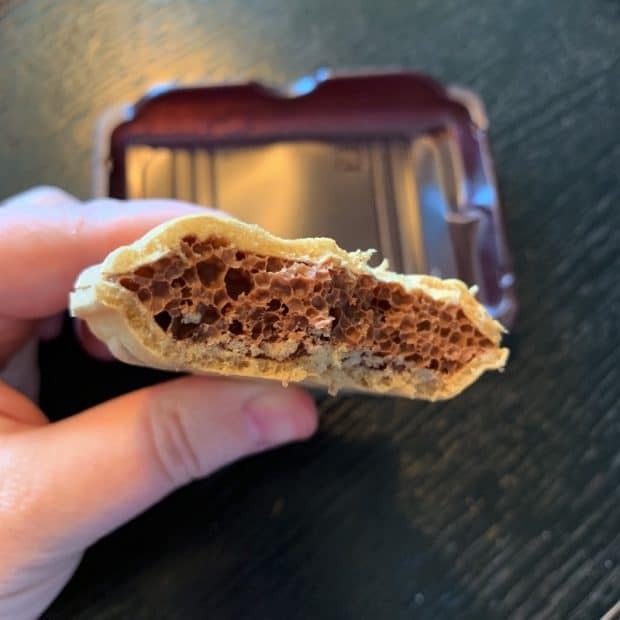 On a bagel with cream cheese. Yum.